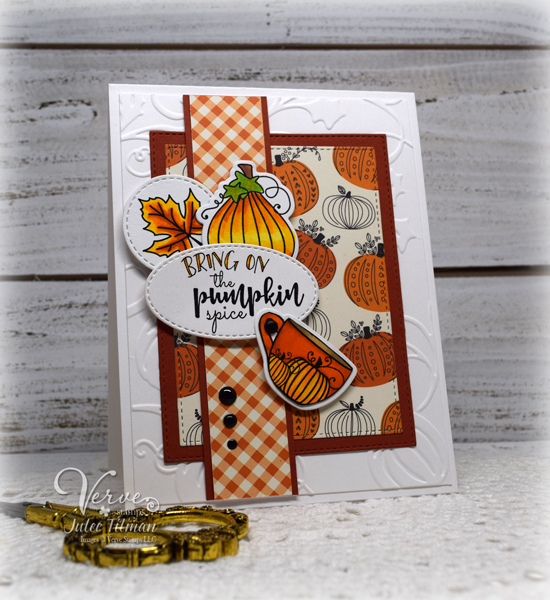 Hello, Verve fans, Julee here, with a little recap of the September VLV sketch and a spotlight on a few of the beautiful cards in the linkup already. Our challenge is open all month long, so you have until October 5 to link your creations to our Entry Form link list for a chance to win. 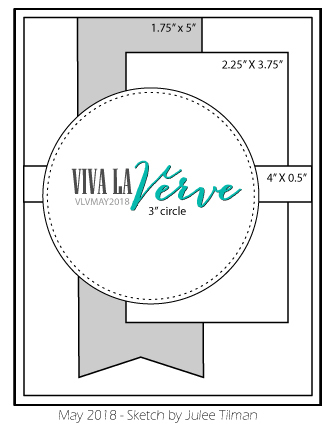 We'll choose a random winner at the end of the month to win a $40 gift voucher to Verve. For my second take on this sketch, I decided to flip the sketch and pull out the brand new Coffee Please Digital Set that just released yesterday. The images are printed on my laser printer and with the help of a few existing die sets it was just color, cut and layer. Easy peasy! Below are just a FEW of the gallery entries from the past two weeks that caught my eye. Carmela's sunny litte chevron kettle from Always Time totally makes me smile. 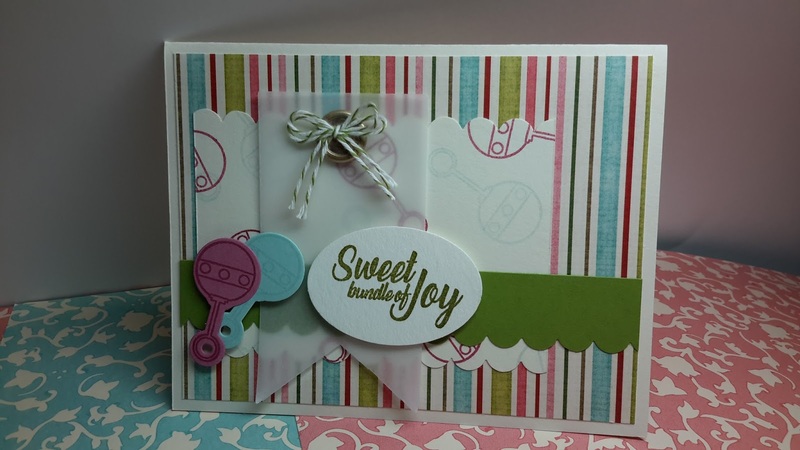 Melissa's sweet little baby card using the Little Ones set is just darling. Sheri's fabulous details make this sentiment from Be Blessed shine. 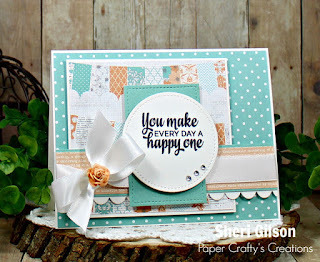 Thanks so much for sharing your cards! We so enjoy seeing you create!